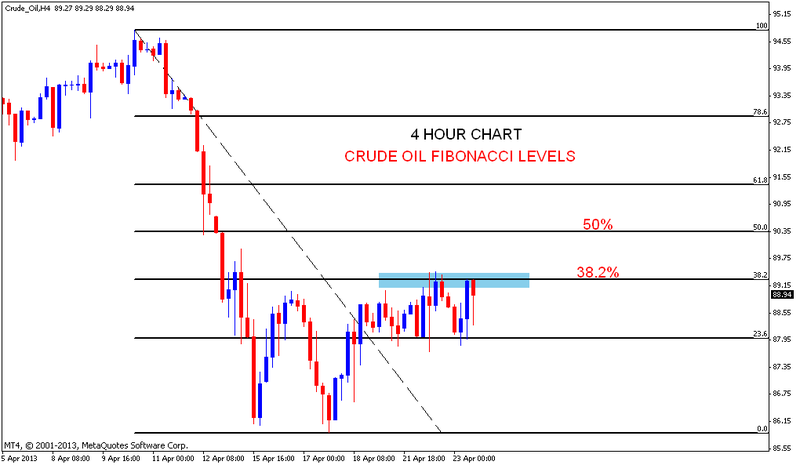 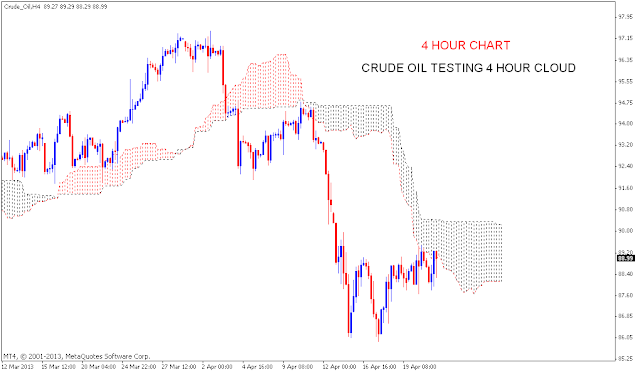 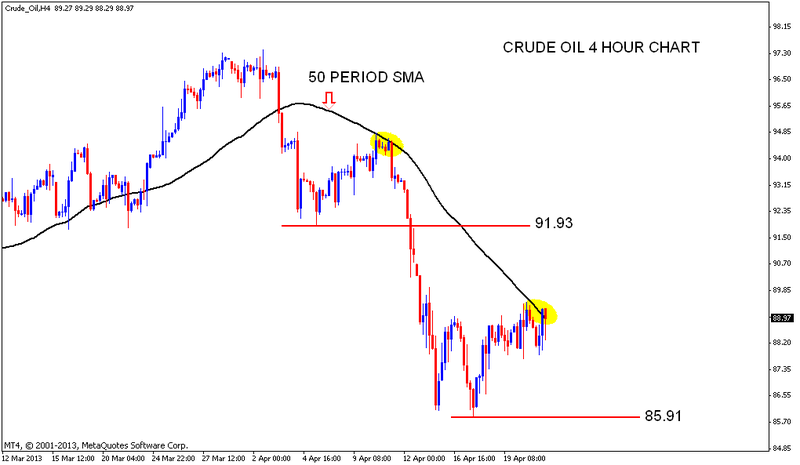 CRUDE oil Four hour chart nearing resistance levels. 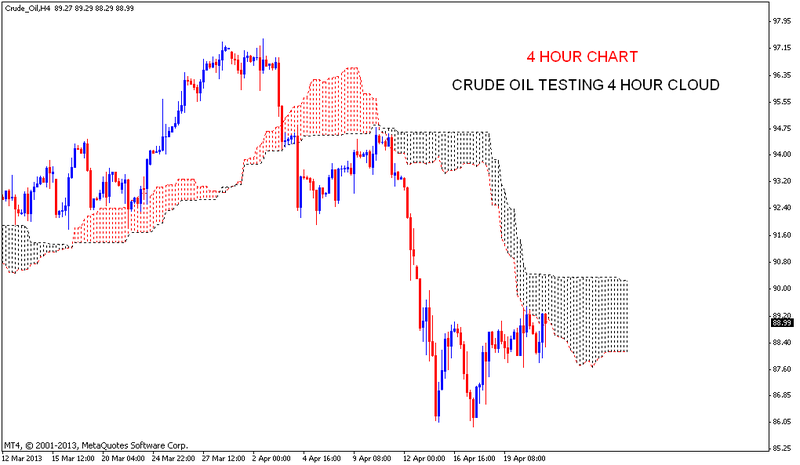 For turning this down trend price must sustain above the 4 Hour cloud. Weakness on falling below 23.6% Fib level.